North Kesteven District Council have been successful in securing Stage 2 Heritage Lottery Funding! This means that we should be able to commence with the works shortly and work throughout 2019 to make the repairs. Keep a look out on this page and the council media feeds to learn more as the project moves forward. We are hoping to get people involved in the project as it is delivered so will publicise opportunities as they arise. Mrs Smith’s Cottage in Navenby is a rare time capsule into a bygone era. The Cottage was never designed to stay standing for so long and its largely unaltered state and long-term resident, the eponymous Mrs Smith, together provide a compelling attraction of how people used to live. Due to structural issues with the Cottage, the museum was closed to visitors and work has been undertaken to reopen it. This resulted in a successful Heritage Lottery Fund bid in 2016 to ‘Rescue Mrs Smith’s Cottage’, which established the issues with the Cottage and how to resolve these. A submission for the second stage funding was approved by HLF in September 2018, allowing the works to take place. This website provides information about key aspects of the project and how to get involved in the project. We are keen to engage with people who knew Mrs Smith so that we can relaunch the Cottage as a visitor attraction telling new stories. Below is a brief history of the Cottage and Mrs Smith, information about the project, its partners and how you can become involved and find out more. Hilda Craven was born in Navenby in 28th October 1892. She was orphaned at an early age and brought up in Navenby by her adoptive mother Mary Barrand. Hilda left school in May 1906, when she was just 13 ½ years old. Her first job was as a ‘day girl’ for Mr Dawson the butcher on the corner of Church Lane, Navenby. In 1926 Hilda returned to live in Navenby to care for her elderly mother. In later years Hilda found employment with the Holmes family in Navenby where she kept the books for their joinery and funeral business. Hilda always called her cottage ‘Craven Cottage’. In 1922, Hilda bough the Cottage for the first time using money from a legacy. It cost her £75 plus legal fees. In 1926 she sold the house to her employer Tom Smith, for £95. In this year the new Methodist Church was built-in Navenby and it is thought that she needed to raise money towards the new building. Interestingly in 1937 Hilda bought the Cottage for the second time, paying just £95. Hilda had now taken up permanent residence in Craven Cottage. In 1956 Joseph Smith, a widower and Methodist lay preacher and Hilda married. Hilda was 64 years old and Joseph 73. For their honeymoon they spent a week near Matlock in Derbyshire. During the years of her marriage, a number of improvements were made to the Cottage, including redecoration and new furniture. Sadly, after four years Joseph died in 1960 leaving Hilda once again on her own. She kept busy in her garden and with involvement in village activities. She lived in the Cottage until just after her 102 birthday when she became too frail to return after a fall. She died in May 1995 at the Holmleigh Retirement Home in Navenby. The Cottage is thought to date from the 1830’s, with the section nearest the road added about ten years later. There is a slight change in the colour and texture of the brickwork between the two phases, which is still noticeable from the front. The large window in The Room (on the right of the building) which protrudes into Mrs Smith’s bedroom, is thought to have been installed to let in as much light as possible. It is likely that this part of the Cottage was once used as a shop or workshop. Our project will bring Mrs Smith’s Cottage back into use as a popular heritage attraction. Minimal alterations to the Cottage since its construction in the 1830s means most original features remain intact. The museum was closed in 2012 when serious structural issues and deterioration of the building became apparent. Our project includes urgent repairs and conservation work, reinterpretation of the site, a new learning programme and range of events and activities; restoring the Cottage to its place at the heart of the local community and ensuring its vital contribution to the visitor economy, whilst providing an enjoyable, engaging visitor experience. Following the submission of these documents and a whole raft of information to Heritage Lottery Fund, we were successful in receiving the go ahead to undertake the works. Essential structural repairs to the building. Urgent repairs and conservation work to the Cottage including repairs to the roof. Creation of an appropriate museum environment. Developing resources to improve access to the site and collections. Working with the University of Lincoln to conserve, interpret and reproduce the decorative scheme of the Cottage. Reinterpretation of the Cottage, Garden and Visitor Centre. Recruit, develop and support a team of new and existing volunteers. An outreach programme including learning activities and reminiscence sessions. Improve engagement with the Cottage through marketing, promotion and use of social media. We are aiming to reopen the cottage in late 2019 but there will be opportunities to get involved in the project sooner. 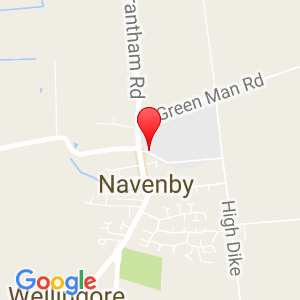 We hope work on site will commence in early 2019 and once we have a more finalised timeline we will hold an event in Navenby to make people aware of what will be happening, when and how to get involved. North Kesteven District Council: NKDC is the lead authority for this project which brings together the expertise from a range of internal services including property, visitor economy and planning. The local District Council ward members, as well as the Councils’ Executive Board, have been supportive of the project. Heritage Lottery Fund: HLF are the main funder of this project and without the help from those who play the National Lottery we would not be able to receive the support and wealth of knowledge needed in the project. Friends of Mrs Smith’s Cottage: From the inception of the Project the FoMSC have supported both the effort and the fund-raising and made an early donation of funds. They continue to contribute to the conception of our new marketing programme and the restoration projects to bring the Cottage back to life. Lincoln Conservation: The conservation arm of the University of Lincoln have provided advice and support and are assisting with the conservation and research of the decorative scheme of the Cottage. Navenby Primary School: Working in partnership with us and our consultants on ways in which we can engage with the local community. Navenby and Cliff Villages Business Network: They have been supportive of the project and we are working together to find ways to all work for the benefit of the community economically and socially. There are various ways that you can keep up to date with the project and/or get involved. The Mrs Smith’s Cottage noticeboard on the High Street in Navenby near the Coop. In addition, drop in events are held at the Project Office periodically. Information about these will be publicised and we encourage you to come along. In the News section you will be able to see articles that have appeared in the local media. You can also become more actively involved by volunteering, opportunities for which will be publicised. Want to get involved in the project? We will have a number of roles that we would like volunteers to fill, which will be advertised here. 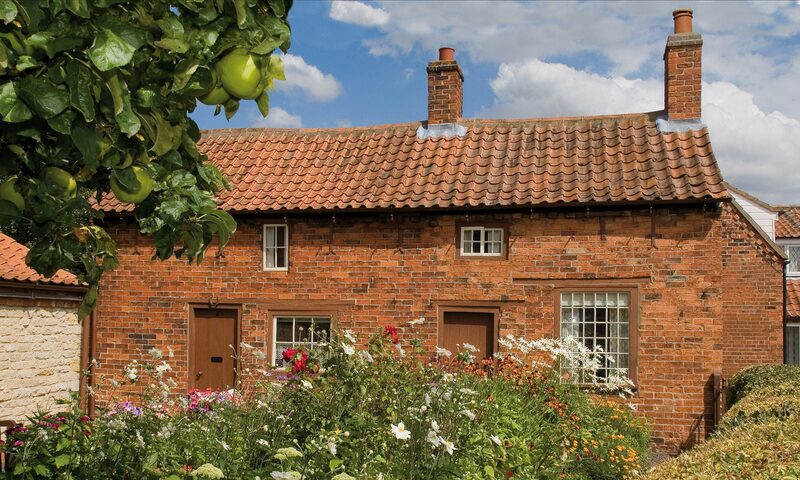 Mrs Smith’s Cottage is set to be brought back to life, giving people the chance to sample life in early 20th century Lincolnshire, thanks to National Lottery Players. The Heritage Lottery Fund (HLF), the largest heritage funder in the UK, has confirmed a second stage grant of £403,800 to enable the project to continue and the restoration to take place. North Kesteven District Council, owners of the cottage in Navenby, had to close the site to visitors in 2012 with concerns over its structural safety. In 2016, the authority was fortunate enough to receive a first stage grant from HLF to allow exploratory works to take place to discover the extent of the damage to the roof in particular and allow a proposal to be formulated about how the cottage could be restored effectively and become a successful visitor attraction once again. Now the second stage funding has been approved, the restoration, made possible thanks to National Lottery, will be able to continue, with a re-opening expected to take place in late 2019. Councillor Richard Wright, Leader of NKDC, said: “The restoration of Mrs Smith’s Cottage would not be able to happen without the Heritage Lottery Fund, so we’re extremely grateful to them for seeing the potential the restoration has and how important the site is to not only the District, but far beyond. Rosie Butler-Hall who is studying an MA in Conservation of Cultural Heritage at the University of Lincoln has been carrying out some research into Mrs Smith’s Cottage and has been over to take some environmental readings at the cottage. The readings will be monitoring the relative humidity and temperature in the cottage over a period over several weeks and will be included in Rosie’s building survey report for her course. She will be sharing her findings with us and it will be interesting to see how these results compare to ones we previously had taken at the cottage. We are really pleased to be working with the University of Lincoln and the cottage is proving to be of great interest to the University and to the students learning. We are grateful to the Heritage Lottery Fund for their support and we thank the National Lottery Players for buying their tickets which in turn helps support such amazing projects across the country. We’re working to restore Mrs Smith’s Cottage in Navenby, thanks to the Heritage Lottery Fund. Here’s an update of what’s happening. It is anticipated that a number of events and briefings will take place during 2019, which we will publish here.